HERNDON, Va., April 28, 2010 -- The National Space Club Florida Committee has awarded the Dr. Kurt H. Debus Award to Roy Tharpe of Northrop Grumman Corporation (NYSE:NOC). Tharpe is president of the company's Space Gateway Support (SGS) contract. 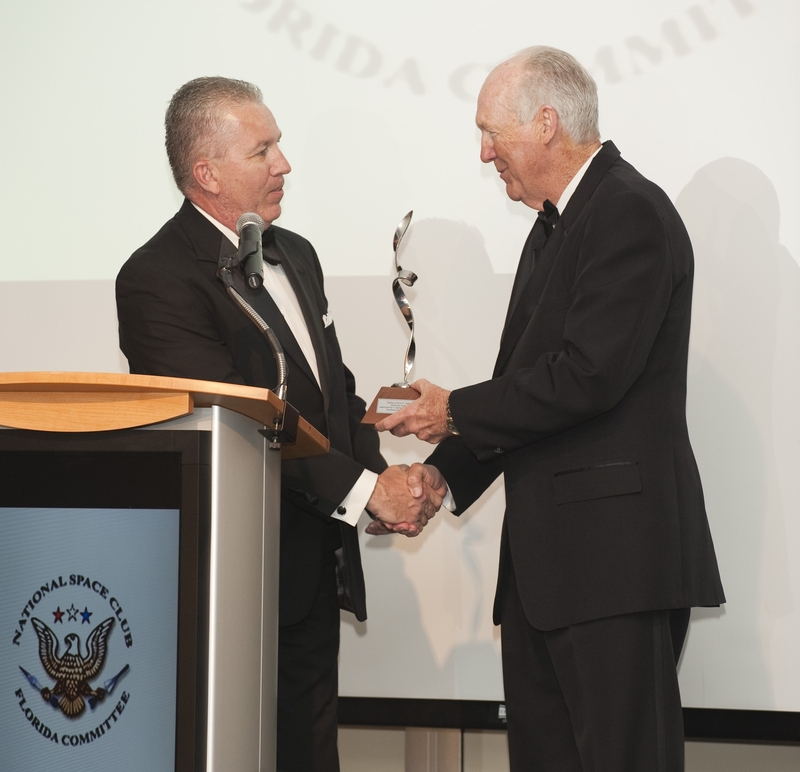 The Debus Award, named for the Kennedy Space Center's first director, Dr. Kurt Debus, recognizes the individual achievements and contributions made in Florida and to American aerospace efforts. "It's a great honor to be recognized by the leadership of the National Space Club and the aerospace community," said Tharpe. "I've been fortunate to work in the industry for nearly 50 years, working shoulder to shoulder with many of the pioneers of space flight, learning and experiencing more than I ever anticipated and I'm still committed to giving back to our aerospace community." Throughout his career Tharpe has earned other awards including a NASA Outstanding Leadership Medal, two NASA Exceptional Service Medals and the National Intelligence Medal of Achievement. "The Space Club is proud to honor Roy for this prestigious award," said Mike Maier, chairman of the National Space Club, in a statement. "Roy's almost 50 years of service to our nation's space program has spanned from his work for NASA during the Apollo era with Dr. Debus to his current role as president of Space Gateway Support. His dedication toward excellence has been both steadfast and noteworthy in its influence in our space program." Tharpe joined Northrop Grumman in 2007 as deputy of operations for SGS. Tharpe is currently president of SGS where he leads a team of 400 employees providing support as part of Kennedy Space Center's interim protective services contract for security, fire and emergency management.